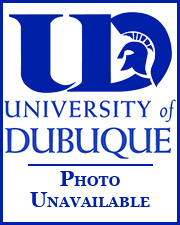 The University of Dubuque Spartans women’s basketball first competed in the early 1900s, but the Iowa Conference officially began sponsoring the sport in 1982-83. Current head coach Mark Noll joined the Spartans in 2007. He is the 11th coach in the program’s history and has since become the all-time wins leader for the Spartans. UD has consistently qualified for the IIAC women’s basketball tournament, missing it just once in past five seasons and setting a new school record of 11 wins in the IIAC in 2015 while claiming the team's first league title in school history. The Spartans have had 43 All-Iowa Conference Performers and over 30 Academic All-Iowa Conference honorees since 1982-83. UD runs an up-tempo offense while adding staunch defensive pressure. Former University of Dubuque All-Conference performer Jenna Kotas is one of the WBCA Thirty Under 30 selections in 2018-19. The American Rivers Conference released the 2018-19 Women’s Basketball All-Conference Team on Wednesday, where UD freshman Miah Smith was the lone Spartan to make any of the three teams, garnering honorable mention honors. If you're interested in playing women's basketball at the University of Dubuque, complete the prospect form, and a coach will be in touch. 2 Kia Dwight Guard 5-2 Junior Coral Springs, Fla.
5 Morgan Meerstein Guard 5-8 Sophomore Green Bay, Wis.
11 Kelssie Kraabel Guard 5-3 Sophomore Lombard, Ill.
13 Abigail Zurcher Guard 5-9 Freshman Manitowoc, Wis.
14 Lexi Daniels Guard 5-5 Junior Galesburg, Ill.
20 Jaden Kelley Forward 5-10 Sophomore Greenfield, Wis.
23 Mimi Smith Forward 5-10 Freshman Matteson, Ill.
33 Jordan Fischer Forward 5-11 Sophomore Deerfield, Wis.
Mark W. Noll recently completed his 11th season as UD Head Women's Basketball Coach after earning the position on May 1, 2007. Noll is UD's all-time leader with 141 overall wins and 79 Iowa Conference victories. He led the Spartans to the 2014-15 Iowa Conference Championship, the first in UD Women's Basketball history. The Spartans have reached previously unimaginable heights in the classroom as well under Noll. The team was ranked #1 in the WBCA Academic Team Honor Roll in 2015-16 while also finishing in the top-five in 2014-15 and 2016-17. Noll guided the Spartans to their first-ever regular season Iowa Conference title in 2014-15 and the Spartans seventh IIAC Tournament bid in his first eight seasons as head coach. The Spartans set a school record for most Iowa Conference wins in school history (11, 2014-15) and set the overall wins school record (20) in 2012-13 season. The fast and furious style of play the Spartans employed led to several school records in 26 games during 2013-14 including: points (1990), FG attempted (1793), FT attempted (623), and points per game (76.5). Noll's 2014-15 senior class left as the winningest group in UD history with 69 overall wins and 39 Iowa Conference victories over their four years. The seniors help set a single-season school record in free throws made (497) and free throws attempted (681). Also in 2014-15, Noll and Co. swept the season series against Simpson for the first time in school history and won both games against Loras for the first time since 1980. Noll coached the Spartans to an IIAC tournament championship appearance in 2013 and has produced 15 All-Iowa Conference selections (7 - First Team, 8 - Second Team, and 9 - Honorable Mention). He garnered his 100th career win on February 19, 2014 at Buena Vista University, 85-78. Noll, a native of Colfax, Wis. is a 2000 graduate of the University of Wisconsin-Stout in Menomonie, Wis., where he also served as the assistant women's basketball coach for seven seasons. Noll has 18 years of coaching experience at all levels including collegiate, AAU and youth levels. Noll was a significant presence as the assistant coach for the UW-Stout women's basketball program. He was a part of three consecutive Wisconsin Intercollegiate Athletic Conference (WIAC) basketball championships, WIAC tournament championships, and two "Sweet 16" finishes in the NCAA Division III National Championships. The women's team at Stout was been among the record attendance leaders in Division III during his tenure. Noll's background also includes extensive experience as a personal instructor and club promoter for the Wisconsin Amateur Athletic Union from 1989-2002. He assisted in every facet of running the nationally known Great Lakes Shootout Basketball Series. He coached AAU teams to the national level with numerous Top-8 finishes at the National Championships and Junior Olympics. He has coached over 100 players who went on to receive college scholarships, two Big Ten Freshman of the Year, two NCAA Kodak All-Americans, the top-3 all-time leading scorers in high school for the state of Wisconsin, two USA Basketball Team members, and three WNBA players. Noll and his wife, Kara, reside in Dubuque with their son Jackson and their daughter Tyler. Justin Smith starts his first season as the UD Assistant Women’s Basketball Coach after accepting the position in June 2017. 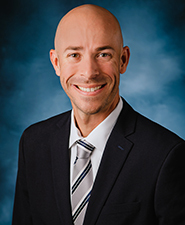 Smith, a native of Waukee, Iowa is a 2007 graduate of the University of Northern Iowa in Cedar Falls, Iowa, where he also began his coaching career as the Assistant Girl’s Basketball Coach at Janesville High School for two seasons. Smith has 12 years of coaching experience at the high school and youth levels. Most recently, Smith was the Head Girl’s Basketball Coach at Hempstead High School in Dubuque, Iowa from 2012-2017. During his time at Hempstead, Smith guided Hempstead to 3 city titles, a Jimmy V Classic Tournament Championship in 2013, and the second most wins in a season in school history twice. He left Hempstead with the second best winning percentage in school history. Smith has coached numerous players who went on to received college scholarships, one all-state selection, and numerous all-conference performers. Smith and his wife, Casey, reside in Dubuque. Wayne Jentz joined the Spartans Women's Basketball Staff in the fall of 2017 as a volunteer assistant. 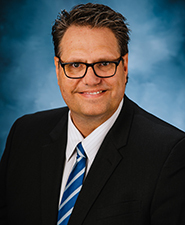 Jentz a native of Platteville, Wis., is a 1978 graduate of Winona State University in Winona, Minn. where he earned a bachelor of arts degree and a master's degree in 1989 in physical education. He began teaching and coaching at Platteville High School in 1979 and served for 34 years as physical education instructor and drivers education teacher. He was an assistant coach in football for 34 years, 28 years as a coach in basketball (20 years as an assistant in boys/8 years as head girls coach), and 25 years in track and field (16 as head girls coach/9 years as an assistant). Jentz won nine conference champions in girls track and field and finished state runner-up in 1992. His girls team won Platteville High School's first conference championship in 2012-13. He earned "Coach of the Year" honors twice (2010 and 2013). During his football tenure, Platteville amassed 259 wins and 113 losses, won 16 conference championships and were in the playoffs 25 times. He coached various positions in football including defensive coordinator from 2002-2012. Football made it to the state finals twice, winning title in 1983 and placing second in 2013. He was honored as District XIV Coach of the Year in 2006, received the WFCA 25 and 30 service awards, and was inducted into the WFCA Hall of Fame in 2017. He and his wife Chris, reside in Platteville, Wis. with their three children (Danna, Brett, and Jessica). Head Coach Mark Noll and the youthful University of Dubuque women’s basketball team finished seventh in the Iowa Conference with a record of 9-16 overall, 4-10 in the Iowa Conference. Highlighted by a non-conference schedule that featured a trip to Puerto Rico and a team championship in the inaugural UD Jon Davison Tournament, the Spartans narrowly missed extending their school record of six straight Iowa Conference tournament appearances. UD finished one game back of Coe, who took the final qualifying spot. On a team with just two seniors, junior forward Emily Brinker was the lone All-IIAC selection after making the Second Team. UD split with rival Loras during the season, despite Brinker’s nationally recognized 41-point, 14-rebound outburst in home defeat. Both were career-highs as Brinker shot 17 of 28, including 11 made jumpers, in the overtime loss. The Spartans concluded their season winning three of their last five games. Front Row: Jessie Kirkwood, Abbey Meyer, Devin Glenski, Brittany Collier, Molly Richardson, Meggie Schmidt, Daneshia Snitker, and Kara Enos. Back Row: Asst. Coach Mollie Whiting, Head Coach Mark Noll, Allie Biermeier, Hannah Jensen, Jessica Goetz, Jenna Kotas, Kayla Springer, Brittani Graves, Emily Brinker, Braana Steen, and Asst. Coach Kelsey Steinhagen. DUBUQUE, Iowa – Energy. Passion. Desire. The Spartans exuded all three traits as they captured the first Iowa Conference (IIAC) regular season title in school history and concluded the season 17-9, 11-3 IIAC. UD was tied with Luther in the IIAC standings in the IIAC regular season finale and defeated the Norse, 94-81, to secure the winner-take-all IIAC championship. Unfortunately, UD’s journey to the big dance was cut short in the semifinals of the IIAC tournament as they fell to Wartburg in their third meeting of the season, 68-72. Five starting seniors paved the way for a Spartan team that had plenty of experience to go around. Led by First Team All-IIAC selection and the IIAC’s leading scorer, Jenna Kotas, all five seniors had their moments as UD grinded through the toughest non-conference schedule in Head Coach Mark Noll’s tenure, and then posted a school record of 11 IIAC wins. The Spartan seniors faced expectations of placing fifth in each of the last four IIAC preseason polls, but finished 3rd, 3rd, 2nd and 1st the last four years. Each season resulted in the best IIAC finish in school history. A big reason for their first IIAC title was Kotas, who led the league with 18.1 ppg, 94.1% free throw shooting, and finished second with 7.6 rpg during league play to earn her second straight All-IIAC First Team selection. Fellow seniors Meggie Schmidt, who led the league in steals at 2.71 spg and placed 6th in scoring at 12.1 ppg, earned All-IIAC Second Team honors and Kayla Springer, who placed 3rd in blocks at 1.36 bpg and 6th in free throw percentage at 82.5%, garnered Honorable Mention All-IIAC. Sophomore Emily Brinker also placed on the Honorable Mention team after 10.4 ppg and 4.3 rpg. The IIAC slate and the theme of the Spartans season was highlighted by a pair of regular season sweeps over Loras and Simpson. It was the first ever sweep of the Storm in school history and first sweep over Loras since 1980. Jumpstarting the Duhawk sweep was senior starter Brittany Collier. Her heroics in game one helped take down Loras, 57-54, after she single-handedly went on an 8-point tear - including two three-pointers - with 1:22 to go. Fellow senior and starter, Springer, finished the job and scored six of UD’s last eight points from the free throw line in game two win over Loras, 78-74. The Spartans downed Simpson by a total of nine points after free throws by seniors Schmidtand Springer iced the game in each victory, respectively. Close games were a common theme for a Spartan team that got to the line at will (led IIAC with 362 free throw attempts in IIAC play). Nine of their 14 IIAC games were decided by single digits, including seven of their wins. The Spartans were the fifth best free throw shooting team in the IIAC (73.2%), but at one point featured three shooters over 90% (Kotas, Schmidt, Springer). In one three-game stretch during IIAC play, the Spartans converted an impressive 63 of 67 free throws (94%). Kotas led the league after posting a gaudy 94.1% from the free throw line (64 of 68) and set a single-season school record with a 90.2% free throw rate on the entire season. The Spartans escaped their toughest non-conference slate in Coach Noll’s era with a 6-6 record. UD faced five teams from one of the top conferences in the country, the Wisconsin Intercollegiate Athletic Conference, and two ranked teams out of Illinois, Wheaton and North Central. Four of the Spartans 12 non-conference opponents made it to the National Tournament. UD did just that while outplaying expectations and finished the season 30th nationally, according to the Massey Ratings (a well-known statistical ranking system), after winning the third-toughest conference in the country. Front Row: Meggie Schmidt, Molly Richardson, Maria Miller, Jessie Kirkwood, Jasmine Bethea, Brittany Collier, Adrianna Stephens, Devin Glenski, Caitlin Derus, and Taylor Griffin. Back Row: Head Coach Mark Noll, Asst. Coach Mollie Whiting, Jennifer Fischer, Jessica Goetz, Emily Brinker, Stephany Remakel, Angela Powell, Heather Chapman, Jenna Kotas, Brittani Graves, Kayla Springer, Daneshia Snitker, Student Asst. Nichole Mai, and Asst. Coach Kelsey Steinhagen. The 2013-14 Women's Basketball team finished the season with an overall record of 17-9 and second place in the Iowa Conference at 10-4. The Spartans earned a First Round bye in the Iowa Conference Tournament before losing in the Semifinals. The Spartans set school records in points (1,990), points per game (76.5), wins in a four-year period (63), and IIAC wins in a four-year period (35). Junior Jenna Kotas (Forward) was named First Team All-Iowa Confererence. Junior Jessica Goetz (Guard) earned Second Team All-IIAC. As a team, UD led the IIAC in scoring margin (+8.0), field goal pct defense (.354), three-point pct defense (.344), blocks (127), steals (318), turnover margin (+3.38), and home attendance (660 per game). Heather Chapman, Jennifer Fischer, Jessie Kirkwood, Stephany Remakel, Mollie Richardson, and Kayla Springer earned Academic All-Iowa Conference. Front Row: Maria Miller, Molly Richardson, Jessie Kirkwood, Mollie Whiting, Makenzie Reed, Haylee Nutter, Nichole Mai, Meggie Schmidt, Alexis Lozano-Dobbs, and Krystal Pritchett. Back Row: Asst. Coach Dana Harrold, Jennifer Fischer, Birttani Graves, Jessica Goetz, Sara Fruendt, Heather Chapman, Stephany Remakel, Jena Darwin, Ashley Barwick, Ashley Haye, Christina Velasquez, Kayla Springer, Taylor Griffin, and Head Coach Mark Noll. The 2012-13 Women's Basketball team finished the season with an overall record of 20-8 and third place in the Iowa Conference at 8-6. The Spartans advanced to the finals of the Iowa Conference Tournament. UD won 80-74 in Overtime at home versus Luther in the First Round. Dubuque then won 73-65 on the road at Wartburg. Spartan senior Mollie Whiting averaged 33.3 points per game in the tournament including an IIAC Tournament record 41 points against Luther. The Spartans 20 wins set a new school record for wins in a season. Whiting was named First Team All-Iowa Confererence. Sophomore Meggie Schmidt (Guard) was recognized as Honorable Mention All-IIAC. Whiting also picked up numerous national honors including First Team D3hoops.com All-Region and Honorable Mention All-American by D3hoops.com and WBCA. As a team, UD led the IIAC in blocks (127) and three-point field goal percentage defense (28.2%). UD also finished second in scoring offense (69.6 ppg), scoring margin (+9.1), steals (240), turnover margin per game (+4.39), and average home attendance (566/game). The Spartans won the UD Holiday Classic with Whiting and Krystal Pritchett earning All-Tournament Team. Ashley Barwick, Jennifer Fischer, Sara Fruendt, Nichole Mai, Stephany Remakel, and Mollie Whiting earned Academic All-Iowa Conference. Front Row: Jessi Nick, Erin Schmeling, Mollie Whiting, Meggie Schmidt, Shana Kester, Erin Crane, Krystal Pritchett, Meghan McKenna, Aysa Sellers, Lauren Gabler, and Abby Non. Back Row: Asst. Coach Andy Crane, Chol Bading, Kayla Springer, Sara Fruendt, Jessica Goetz, Jennifer Fischer, Aimee Reyzer, Jena Darwin, Heather Taylor, Stephany Remakel, Ashley Barwick, Rebecca Glasbrenner, Christina Velasquez, Head Coach Mark Noll, and Asst. Coach Dana Harrold. The 2011-12 Women's Basketball team finished the season with an overall record of 15-11 and third place in the Iowa Conference at 10-6. UD lost in the opening round of the IIAC Tournament. Junior Mollie Whiting (Guard) was named 1st Team All-Iowa Conference. Seniors Aimee Reyzer (Forward) and Heather Taylor (Center) were recognized as Honorable Mentions selections. The Spartans 3rd place finish was the best in school history while their 15 wins are tied for the second highest single season total. Ashley Barwick, Jennifer Fischer, Meghan McKenna, and Mollie Whiting earned Academic All-Iowa Conference. Front Row: Tiffany Braun and Tena Stark. Middle Row: Aysa Sellers, Meghan McKenna, Mollie Whiting, Aimee Reyzer, Shana Kester, Jessica Jentz, Elizabeth Sledge, Erin Crane, Krystal Pritchett, and Abby Non. Back Row: Asst. Coach Dana Harrold, Asst. Coach Andy Crane, Stephany Remakel, Jena Darwin, Heather Taylor, Alia Cook, Ashley Barwick, Jennifer Fischer, Rebecca Glassbrenner, and Lauren Gabler. The 2010-11 Women's Basketball team finished the season with an overall record of 11-16 and six place in the Iowa Conference at 7-9. The Spartans won 58-55 at Wartburg in the opening round of the IIAC Tournament before losing in the semifinals. Junior Aimee Reyzer (Forward) was named 1st Team All-Iowa Conference. Sophomore Mollie Whiting (Guard) was selected 2nd Team All-IIAC. Junior Alia Cook (Center) was recognized as Honorable Mention. Whiting lead the IIAC with 16.1 points per game. Ashley Barwick, Tiffany Braun, Elizabeth Sledge, Tena Stark, and Mollie Whiting earned Academic All-Iowa Conference. Front Row: Elizabeth Zutz, Christina Laude, Kinsey Mace, Krystal Parr, Tiffany Braun, Elizabeth Sledge, Mollie Whiting, and Krystal Pritchett. Middle Row: Shana Kester, Tena Stark, Jessica Genke, Aimee Reyzer, Katelyn Herrman, Jennifer Nichols, Aysa Sellers, and Asst. Coach Dana Harrold. Back Row: Head Coach Mark Noll, Jasmine Taylor, Jena Darwin, Heather Taylor, Kasey Laramy, Ashley Barwick, and Rachel Thundercloud. The 2009-10 Women's Basketball team finished the season with an overall record of 15-11 and fifth place in the Iowa Conference at 9-7. The Spartans lost in the opening round of the IIAC Tournament. Senior Jennifer Nichols (Forward) was named 2nd Team All-Iowa Conference. Senior Krystal Parr (Guard) and freshman Mollie Whiting (Guard) were recognized as Honorable Mention selections. Parr finished second in the IIAC with 64 three-pointers made and Nichols ranked third with 15.6 points per game. Tiffany Braun, Jennifer Nichols, Elizabeth Sledge, and Tena Stark earned Academic All-Iowa Conference. Nichols was selected Third Team ESPN The Magazine/CoSIDA Academic All-District. Front Row: Jamie Duprel, Monica Hayes, Nia Calbreath, Kristin Mortenson, Shana Kester, and Chakeira Gilbert. Middle Row: Elizabeth Sledge, Aimee Reyzer, Briana Nelson, Hannah Haugestuen, Krystal Parr, Tena Stark, Jennifer Nichols, and Brittany Bullock. Back Row: Head Coach Mark Noll, Asst. Coach Dana Harrold, Sydney Reardon, Kaitlin Nowicki, Erica Johnson, Jena Darwin, Heather Taylor, Kim Nebel, Katelyn Herrman, Krystle Harvey, Student Asst. Andy Crane, and Student Asst. Jordan Skaar. The 2008-09 Women's Basketball team finished the season with an overall record of 9-16 and seventh place in the Iowa Conference at 5-11. Junior Jennifer Nichols (Forward) was named 1st Team All-Iowa Conference. Senior Briana Nelson (Forward) was recognized as Honorable Mention. Jennifer Nichols and Tena Stark each earned Academic All-Iowa Conference. Front Row: Sydney Reardon, Jess McCullor, Briana Nelson, Courtney Musser, Andrea Janssen, Shanice Gomire, and Jennifer Nichols. Back Row: Student Asst. Andy Crane, Student Asst. Jordan Skaar, Kim Nebel, Katelyn Herrman, Brittany Heard, Jennifer Bell, Erica Johnson, Molly Warren, Tena Stark, Tess Arndt, Asst. Coach Dana Harrold, and Head Coach Mark Noll. The 2007-08 Women's Basketball team finished the season with an overall record of 14-13 and fifth place in the Iowa Conference at 7-9 under first year head coach Mark Noll. The Spartans won 68-67 at Loras in the opening round of the IIAC Tournament before losing in the semifinals. Senior Courtney Musser (Guard) and sophomore Jennifer Nichols (Forward) were each named 2nd Team All-Iowa Conference. Musser was a 4-time 2nd Team selection and led the league in assists three times. Musser finished eighth in Division III with 6.1 assists per game. Senior Jennifer Bell ranked second in the IIAC with 7.8 rebounds per game. Andrea Janssen, Jennifer Nichols, and Courtney Musser earned Academic All-Iowa Conference. Front Row: Brittney Dickey, Katherine Kempisty, Lacey Speer, Jenica Kester, Courtney Musser, and Jessica McCullor. Back Row: Asst. Coach Dana Harrold, Briana Nelson, Jen Nichols, Ginny Mudgett, Natasha Mullis, Danielle Erner, Katie Feterl, Kimberly Nebel, Andrea Janssen, and Head Coach Todd Huffman. The 2006-07 Women's Basketball team finished the season with an overall record of 9-16 and eighth place in the Iowa Conference at 3-13. Junior Courtney Musser (Guard) was named 2nd Team All-Iowa Conference. Musser lead the IIAC with 6.0 assists per game while freshman Jennifer Nichols ranked first with a 85.3% (81-95) free throw percentage. Jenica Kester and Courtney Musser each earned Academic All-Iowa Conference. #10-Brandy Speer, #12-Jenica Kester, #15-Courtney Musser, #21-Madie Wolf, #22-Brittney Dickey, #23-Taylor Foltz, #24-Dominique Anthony, #30-Ashley Hoppenjan, #32-Lacey Speer, #33-Myesha Watkins, #34-Katherine Kempisty, #40-Jennifer Bell, #42-Brittany Heard, #44-Sharonica Edwards, #45-Katie Feterl, and #54-Valerie VanDam. Head Coach: Todd Huffman. Asst. Coach: Dana Harrold. The 2005-06 Women's Basketball team finished the season with an overall record of 10-15 and eighth place in the Iowa Conference at 4-12. Sophomore Courtney Musser (Guard) was named 2nd Team All-Iowa Conference. Musser finished second in the Iowa Conference with 5.77 assists per game while sophomore Jennifer Bell ranked second with 1.44 blocks per game. Dominique Anthony, Jenica Kester, and Courtney Musser earned Academic All-Iowa Conference. Front Row: Keisha Morgan, Courtney Musser, Jenica Kester, Lacey Speer, Jessica Cox, Ashley Hoppinjan, Jodi Jones, Madie Wolf, and Starris Kidd. Back Row: Head Coach Todd Huffman, Katie Kempisty, Dominique Anthony, Taylor Foltz, Karen Folkerts, Kathy Folkerts, Jennifer Bell, Katie Feterl, Melissa Seich, Katie Kozlowski, Asst. Coach Elisha Perkins, and Asst. Coach Dana Harrold. The 2004-05 Women's Basketball team finished the season with an overall record of 8-18 and tied for seventh place in the Iowa Conference at 4-12. The Spartans lost in the opening round of the IIAC Tournament. Freshman Courtney Musser (Guard) was named 2nd Team All-Iowa Conference. Musser finished 11th in Division III and first in the Iowa Conference at 5.69 assists per game. Freshman Jennifer Bell lead the IIAC with a 57.1% (64-112) field goal percentage and was second with 37 blocks. Dominique Anthony, Katie Feterl, and Jenica Kester earned Academic All-Iowa Conference. Front Row: Kelly Thompson, Kathryn Kozlowski, Jenica Kester, Dana Kester, Jessica Cox, Layla Hicks, Krystal Redmon, and Dominque Anthony. Back Row: Michele Odefey, Ashley Harrow, Lacey Lucey, Asst. Coach Bobbi Endress, Taylor Foltz, Katie Feterl, Head Coach Todd Huffman, Nichol Haase, Nicole Kayon, and Katherine Kempisty. The 2003-04 Women's Basketball team finished the season with an overall record of 14-12 and tied for fifth place in the Iowa Conference at 7-9. The Spartans lost in the opening round of the IIAC Tournament. Senior Dana Kester (Guard) was named 1st Team All-Iowa Conference. Junior Jessica Cox (Guard) was selected 2nd Team All-IIAC. As a team, UD finished fifth in Division III with a free-throw percentage of 75.5%. Kester finished second in the IIAC with 5.15 assists per game and third with 18.7 points per game. Cox was one of three Spartans in the Top 5 for free-throw percentage at a league leading 84.8% (56-66). Kester finished third at 80.3% (110-137) and Taylor Foltz finished in fifth at 77.0% (57-74). Dana Kester and Kelly Thompson each earned Academic All-Iowa Conference. Front Row: Kelly Thompson, Jessica Cox, Dana Kester, Jaymee Terry, and Jennifer Bowman. Back Row: Taylor Foltz, Lacey Lucey, Nichol Haase, Cassy Bliss, Nikki Kayon, and Theresa Dix. The 2002-03 Women's Basketball team finished the season with an overall record of 12-14 and tied for seventh place in the Iowa Conference at 6-12. The Spartans lost in the opening round of the IIAC Tournament. Junior Dana Kester (Guard) was named 1st Team All-Iowa Conference. UD scored a school record 1,838 points and 70.7 points per game. Kester led the IIAC with 2.73 steals per game and finished second with 19.3 points per game. Sophomore Jessica Cox led the league with 71 three-point field goals made. Kelly Thompson earned Academic All-Iowa Conference.